﻿ How to build the most efficient data center infrastructure? How to build the most efficient data center infrastructure? One of the key tasks of a data center manager is to plan the infrastructure of the data center based on actual needs and future needs. 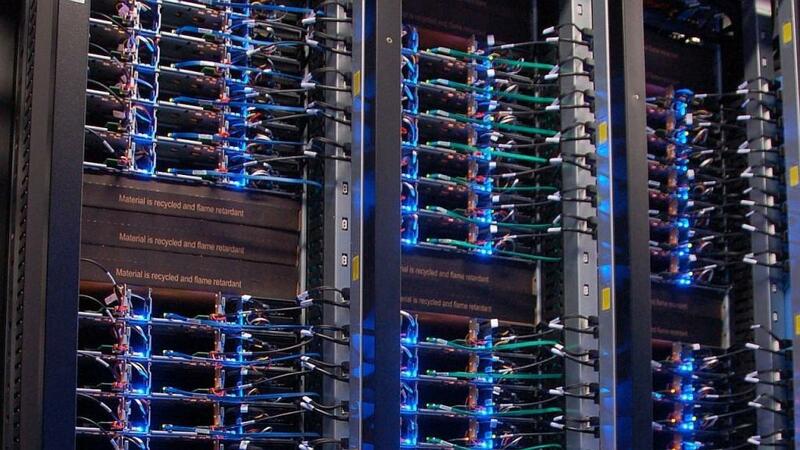 So how do you build a database of the best and most efficient data centers? This tutorial will provide you an answer. Rack and cabinet is the essential components for the data center, but their importance is often overlooked. In fact, you will get in trouble if you choose a wrong one, and will cause many problems: heat, dust, and temperature can cause damage to equipment in racks and cabinets, high cooling costs, messy cables, excessive noise, and safety leaks etc. So we should choose the network equipment that can accommodate the "maximum size" and have excellent cooling effect, high security racks and cabinets when purchasing. As we all know that all business activities are closely related to the data center, any accidental downtime in the data center will result in significant losses, so it is very important to provide a reliable power for the data center. This requires that the power protection system must have high performance in terms of redundancy, manageability, scalability, and so on. The cooling system is essential because the heat of the data center is large and the operation of the network equipment needs to be carried out at constant temperature. The common cooling ways includes free cooling, evaporative or adiabatic cooling, sealed cooling, chimney cabinets and ceiling duct cooling etc. These cooling ways have their own merits and demerits and application. We should build an appropriate cooling system based on the specific need and application. With the growing number of ports in the data center, network equipment is becoming more and more intensive, how to effectively manage a large number of cable and network equipment has become the problem that need to answer urgently. In this case, the traditional unstructured cabling does not meet the needs of data center high-density cabling. While structured cabling is a flexible, reliable, efficient cabling system, which can be divided into twisted pair copper cabling system and fiber optic cabling system. Twisted pair copper cabling system is mainly used to achieve the short-distance (less than 100m) connection between devices; fiber optic cabling system can meet the demands for high bandwidth, high reliability, high density, high flexibility, high scalability, especially MPO / MTP pre-terminated fiber products can provide an superiority that ordinary cabling system unparalleled. Not only reduces the installation time and cost, but provides a high density of installation and provide a guarantee for the future development of the network as well. With the advent of the cloud computing, large data, online video applications, the data center on the network bandwidth speed requirements are getting higher. Traditional data center 100 Gigabit, Gigabit interconnect has been unable to meet the application needs, and now 10 Gigabit servers have begun to become popular, the demands of the data center for the 40G / 100G network equipment and MPO / MTP cabling system increasingly apparent. Nowadays, time-saving is very important, so the deployment of the data center should be as fast as possible. To achieve this goal, we should choose the pre-terminated product which is very quickly to deploy and easy to install. Because of the needs for bandwidth are endless, the data center should not only meet the needs of the current business, but to meet the needs of future network expansion. Scalable network equipment and fiber products should be chosen. With the continuous development of computer network technology and the gradual improvement of the social information, the requirements on data transmission, storage, processing and management requirements are getting higher, the data center has also been rapid development.